At rush hour on a recent evening, the spot where Gardiner Street meets Mountjoy Square’s south-west corner is busy with cars, cyclists and people walking. Cars headed out of town wait to turn right onto Mountjoy Square South. Cars coming the other way wait to turn left onto Gardiner Street. As two people try to cross Mountjoy Square South, one puts his arm out to stop the other – just as a car whizzes past them. Less than a minute later, as two women are trying to cross, a bus honks. One of them jumps, startled, and they run the rest of the way across, laughing. A block away, at the north-west corner of the square, next to DID Electrical, it’s a similar scene. People are glancing at the traffic lights, waiting for a clearing in the traffic so they can scoot across the road. Neither of these two junctions – busy intersections for car, cyclist, and pedestrian traffic – has pedestrian lights, despite the efforts by residents and local councillors. This is a familiar story across the city, where budget constraints, and grand transportation schemes often delay efforts to put in simple pedestrian crossing lights. “It is crazy that inner-city communities are being held hostage to these big infrastructure plans,” says Green Party Councillor Ciarán Cuffe, who chairs the council’s transport committee. Cuffe says he has been trying to persuade the council to install pedestrian lights on Mountjoy Square for some time. “One would like to think local councillors could seek a pedestrian crossing and get it installed in six or twelve months, but here after five years I have nothing to show for it,” says Cuffe. When he first asked for the pedestrian lights years ago, he was told they would have to wait because of plans for the Swiftway Bus Rapid Transit network. When he submitted a question to the council’s engineers for the area in December 2017, he got a similar reply, but this time the project was BusConnects. In his reply to Cuffe, Area Engineer Andrew Geoghegan said pedestrian signals “have previously been recommended” for the square. 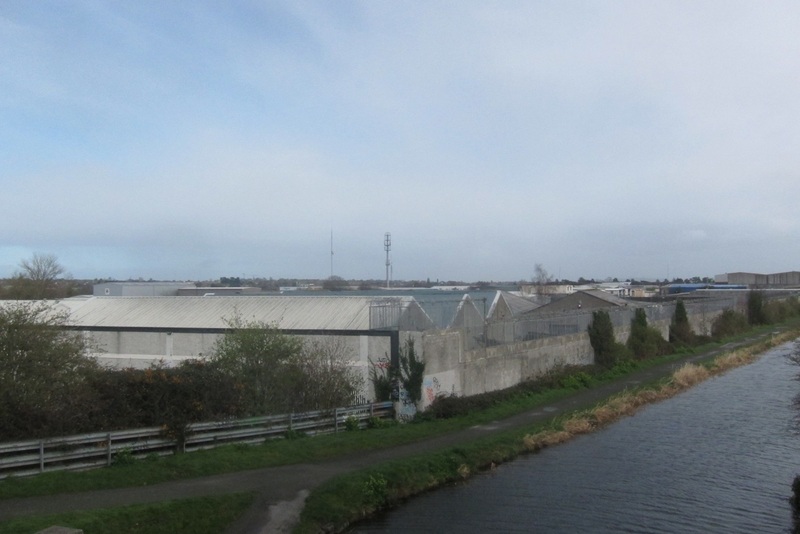 On the south side of the city, meanwhile, plans for the South Grand Canal Cycle Lane Improvement Scheme have delayed the installation of pedestrian lights at at Herberton Road and Dolphin Road along the canal. At a meeting of the South Central Area Committee in December, Councillor Pat Dunne of Independents 4 Change said he felt the delay was unacceptable. The council should separate the pedestrian lights from the big cycle lane plan and get them done, he said. While the council waits for these big plans to materialise, or not, the years are passing without those pedestrian lights, says Cuffe. “A generation of school kids are growing up and old people are getting older. The time to move on these quality of life projects is now. In theory our transport policy puts pedestrians first, then cyclists … but in practice there can be a lot of delays,” he says. On the south side of the city, councillors brought up the issue of delays in installing pedestrian lights back in November, at a meeting of the South Central Area Committee. They were discussing years-old requests for lights at Le Fanu Road and along the Grand Canal, among others locations. “I would have thought that would be an urgent thing. It’s right near a school,” said Sinn Féin Councillor Greg Kelly, of the spot on Le Fanu Road. Each crossing costs about €80,000, said Senior Engineer Neil O’Donoghue. And the budget is limited for such projects, said South Central Area Engineer Niall O’Neill. “Tops we can do two small ones, but general it’s only one a year that we get done,” O’Neill said. He said he has 40 different pedestrian lights on his list, and he’ll be “nearly retired” by the time they are all dealt with. Labour Councillor Mary Freehill said that staff shortages are at the core of a lot of the council’s problems. Between 2015 and 2018, Dublin City Council has installed or upgraded 59 “pedestrian facilities”, a council spokesperson said. That includes works on the Luas Cross City. Funding comes from the council budget, as well as the NTA for larger schemes related to walking, cycling, and public transport. “Funding is also received for pedestrian and traffic signals upgrades as part of proposed planning development in order to upgrade junctions in relation to new exits from developments and new pedestrian movements,” she said. All proposed changes to road layout are checked against wider infrastructure schemes. If a junction is being upgraded as part of a wider scheme, the council “would normally wait and carry out any works as part of the wider upgrade”, she said. While many efforts to improve pedestrian crossings have met with delays, Cuffe says there have been success stories, too. On the North Strand, there was a crossing near a school that would normally make people wait 30 seconds – but would lengthen that to two minutes during rush hour. “The engineer looked at it and decided they could squeeze in another pedestrian cycle during rush hour,” Cuffe said. “It took a dedicated engineer and lovely handwritten letters from the schoolchildren.” That was two years ago. Colm Ryder of the Dublin Cycling Campaign says there are “glaring gaps” in the provision of cycling and pedestrian facilities around the city, and BusConnects “is going to delay a lot of these happening because they’re long-term plans”. “Having said that, Dublin City Council have put in a lot of work, in the past two years in particular, into development of traffic lights and pedestrian crossings” to improve safety for cyclists and pedestrians, he says. “In other words, it’s not all doom and gloom,” he says. Ryder thinks more can be done, and says the campaign is focussed on “quick wins” at the moment. Changes that “will not be blocked by BusConnects and other projects, that would give immediate wins to pedestrians and cyclists in the city”. Think zebra crossings, more cycle logos in bus lanes, contra-flow cycle lanes, and improving response times of pedestrian signals, he says. Conor O’Toole lives on Mountjoy Square North and is out pushing his baby daughter around the square in a pram. The junction between Mountjoy Square West and Upper Gardiner Street is “pretty dicey”, he says. He calls it the riskiest corner he has to take “because you just have to run”. “I’m always a bit scared doing that one,” he says. Anghel Boda lives on Fitzgibbon Street, right next to Mountjoy Square. He’s waiting for a bus on Mountjoy Square East. Boda says he walks to the city centre from there everyday. He thinks the intersection by DID Electrical is one of the worst junctions in the city for pedestrians. “It’s quite difficult. I have to wait for the traffic lights from the other side to go green, and then I’m just watching, left, right, and when there’s no car passing, I go.” Boda says other people do the same. He thinks people made a request for lights to the council, “but there’s no news about it, no info yet about that”. Boda says this year is going to be a busy year for festivals and events, with Croke Park nearby. Zebra crossings are free * , cover the city in them.